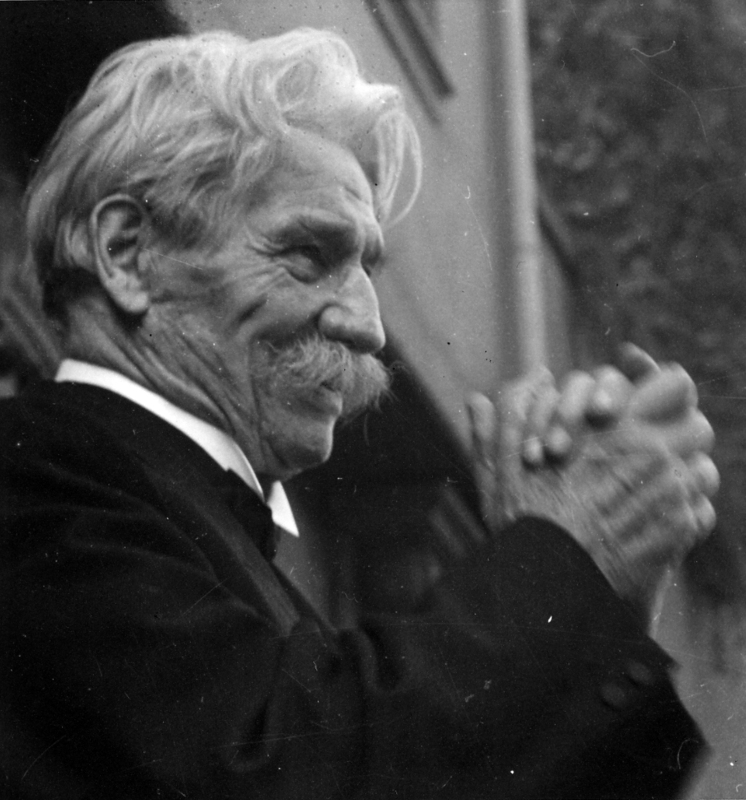 Albert Schweitzer was Alsatian-German theologian, philosopher, organist, and mission doctor in Lambaréné, now in Gabon, west central Africa. He received the 1952 Nobel Peace Prize for his philosophy of Reverence for Life. Whenever he faced obstacles in life, he found solace in music and cats. Born on 14 January 1875 in Kayserberg in Upper Alsace, the son of a Lutheran pastor. His father and maternal grandfather were ministers; both of his grandfathers were talented organists; many of his relatives were persons of scholarly attainments. In 1893 Schweitzer began to study philosophy and theology at the University of Strasbourg, where he took the doctor’s degree in philosophy in 1899. Meanwhile, he started his career as an organist in Strasbourg. Schweitzer had two cats named Sizi and Piccolo. According to legend, his cats liked to sleep in the middle of his desk and if someone needed some papers, they were required to wait until the cats woke up. He took organ lessons at an early age, and started private lessons with the famed Parisian organist Charles-Marie Widor in 1893. He began to explore the use of pictorial and symbolical representations in Bach’s Chorale Preludes, in which harmonic language, musical motifs, and rhythmic figures illustrate the actual words of the hymns on which they were based. At the instigation of Widor, Jean-Sebastian Bach: Le Musicien-Poète was published in 1905 and presented a critical study of Bach’s music based on devotional contemplation in which the musical design corresponded to literary ideas and was visually represented in the score. 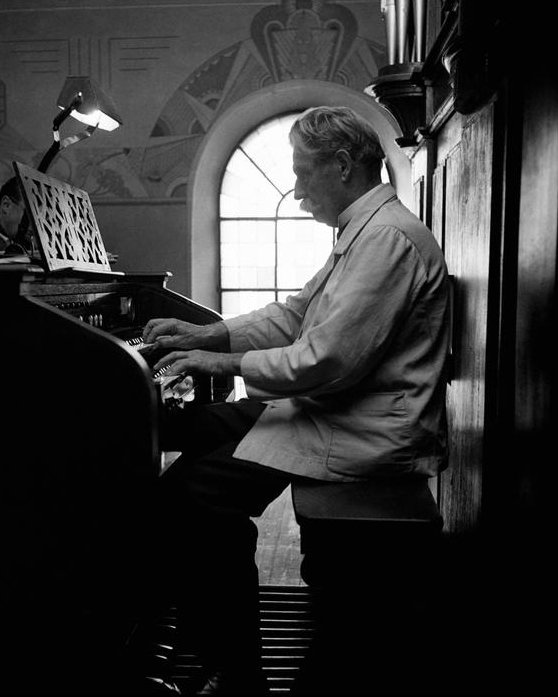 Growing up in Alsace, he had experienced the sleek, colorful and highly characteristic sounds of the organs produced by Gottfried and Andreas Silbermann, the most famous and influential instrument builders active during J.S. Bach’s lifetime. Aside from his achievements, there are many examples of showing his sense of humor. Once, in the middle of a banquet in his honor, Schweitzer was being pestered to the point of harassment by a journalist who simply did not understand the philosophy of ‘Reverence for Life’ and repeatedly demanded that Schweitzer elaborates it for him. Finally, Schweitzer said, Reverence for Life means all life. I am a life. I am hungry. You should respect my right to eat. With that, he excused himself and returned to the banquet. The second example deals with a very common faux pas which it may surprise you to learn that Schweitzer was well aware of. Albert Einstein, one of his friends, mentioned Schweitzer He did not preach and did not warn and did not dream that his example would be an ideal and comfort to innumerable people. He simply acted out of inner necessity. At the age of 30, having decided to become a mission doctor to devote himself to philanthropic work, and in 1913 he became a doctor of medicine. The reason he desired to study medicine, he explained as the desire to work with my hands… For years I have been giving myself out in words, but ‘this new form of activity’ would not be merely talking about ‘the religion of love, but actually putting it into practice. Schweitzer was a harsh critic of colonialism, and his medical mission was his response to the injustices and cruelties people have suffered at the hands of Europeans. With this activity, he had responded his own yearning towards direct service to humanity. In March 1913, Dr. and Mrs. Schweitzer left for Africa to build the hospital at Lambaréné in the French Congo, now Gabon. They began their health care delivery in a chicken coop, and gradually added new buildings, so the hospital now treats thousands of patients. At the age of 78, Schweitzer was honored for his humanitarian work with the Nobel Peace Prize for the year 1952. Until his death in 1965, Schweitzer continued to publish, lecture, perform and care for the sick. Throughout his life, he’d been a total doer backed upon countless nights and days of contemplation. Seek always to do some good, somewhere… Even if it’s a little thing, so something for those that need help, something for which you get no pay but the privilege of doing it.